Kiripichnikov, a Russian academic put together a great paper on mace types found in Russia and many of these were found along the trade routes as you would expect. These routes largely followed the rivers of course and many of these were used by the Rus Vikings on the way back and forth to Byzantium. This has meant that the Type IV mace which was contemporary with the Rus Vikings has come to be associated with Byzantium and perhaps used by the Varangian guard. These early type IV maces had the 4 prominent pyramids along the equator of the mace and and the 8 'half pyramids' along the top and bottom that define the type IV. However they also have rows of decorative beading strung around the pyramids and were usually solid. These early type IV maces ran from around 8th -11thC. After this they seem to migrate toward Europe and at the same time they lose the beading. As solid maces, the spikes cannot protrude too much or the weight would become too high to wield, so they often start to become hollow. 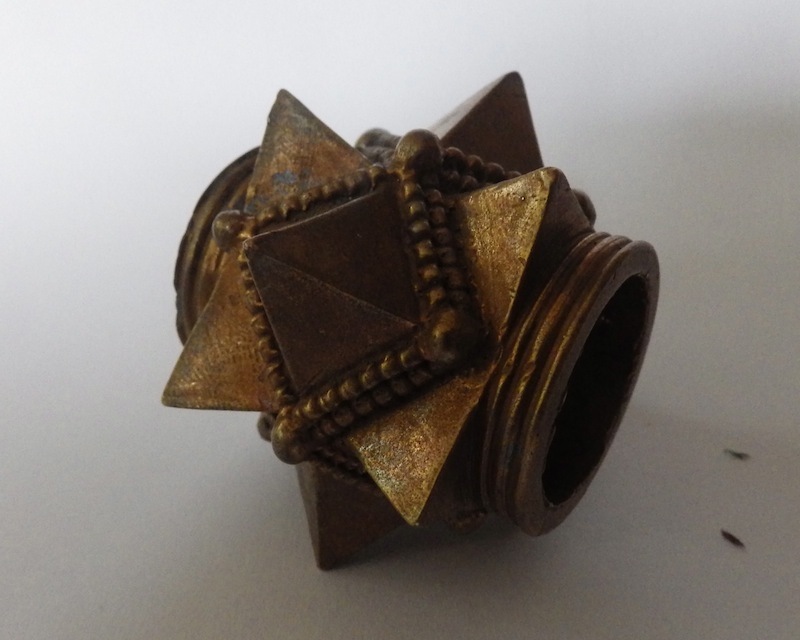 Being hollow allows the spikes to become larger and that ends up with a mace similar to this one. 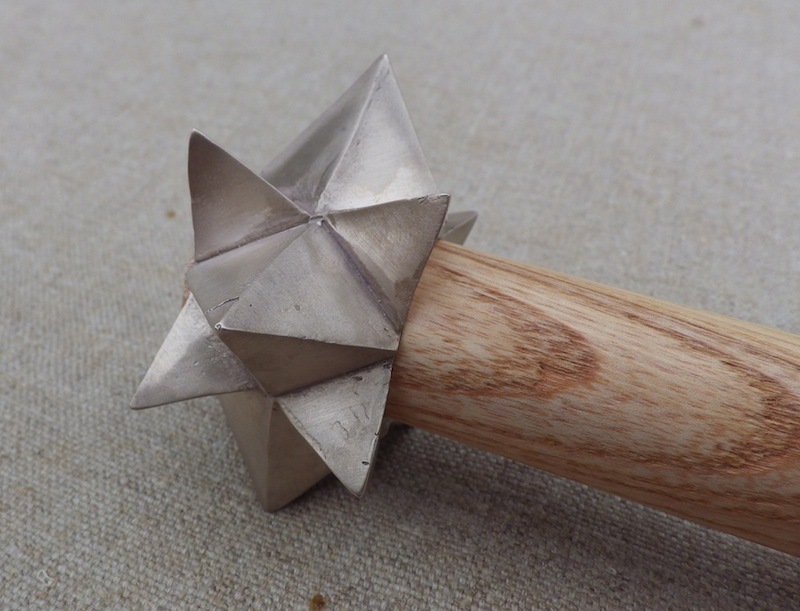 Maces similar to this have been found all over Europe and 2 14thC examples have been found in the UK. 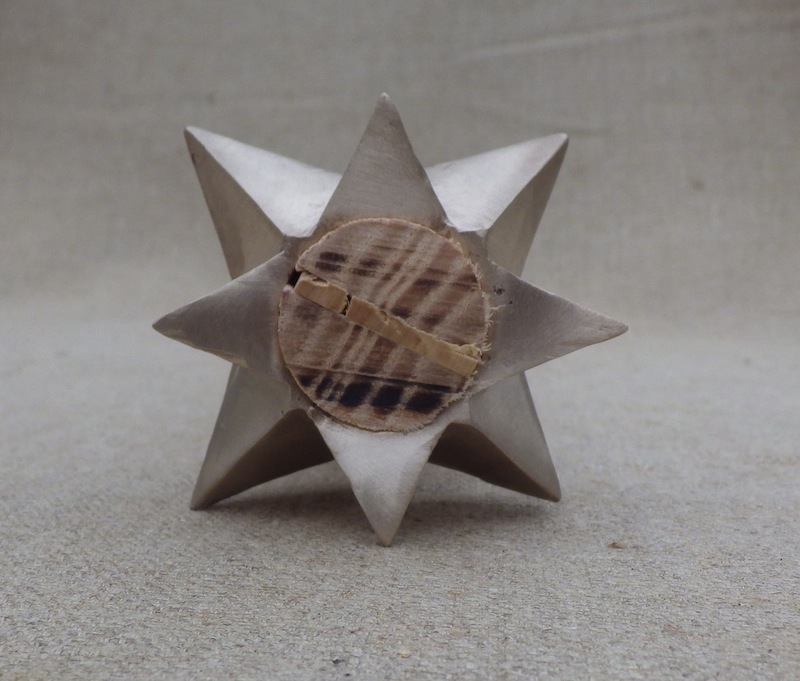 I am almost certain I saw a French Army issue mace of type IV pattern that was issued in the 19thC, so if this is the case, the same basic design ran for 1200 years. 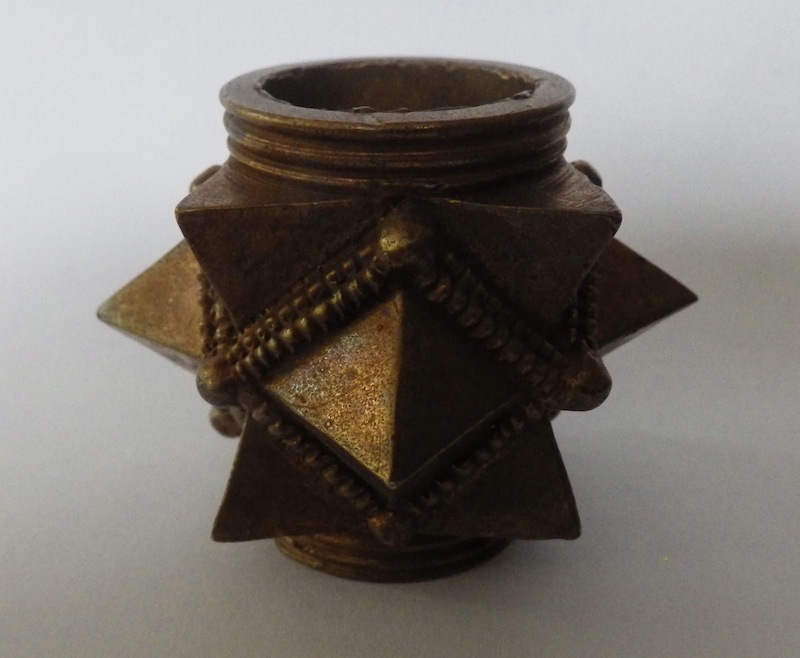 The mounted mace shown here is 83mm across, cast in bronze and complete weighs 435g = less than 1lb. Anyway I hope you like the result. nice!it is so amazing that a design can survive for 1200 years. ....it is so amazing that a design can survive for 1200 years. "The perfection DOES NOT need any change"
In any way, Leo has done very good work, as always. I personally, never tried Type IV so far. My experience is only with Type I.
Yep, I have some british and french trench maces, almost identical and has been pointed out, work just as well. 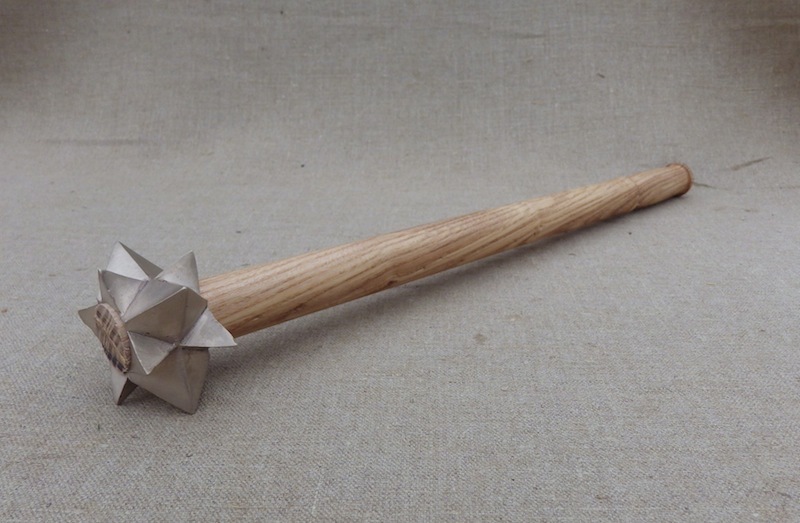 Great looking mace, what's the overall length of the weapon including the haft? So just to confirm the weight you quoted includes the haft and the mace head? Can anyone tell me if Kiripichnikov's work on maces is readily available and in English? I would love to pick up a copy. There is very little published information on maces. ......Can anyone tell me if Kiripichnikov's work on maces is readily available and in English? Unfortunately, I've never heard so. As far as I know (and I have some of his works, including on maces, in this language), they could be found only in Russian. Nope, I do not want face either of these across the field or list. Might want to add one to my collection though..
That was a style of mace I just never cared for till now, fantastic on the new made! I really like the looks of that. I have one of his Early Medieval maces (Mace 2) and it's slowly becoming one of the favorite things in my collection. Boris thanks for the response. So I don't suppose there's been an Osprey book that summarises Kirpichnikov's typology similar to the typologies of Jan Petersen in the book Viking Hersir 793-1066 AD (Warrior 3)? I've never seen such Osprey book. BTW, in some degree Eastern and South-Eastern Medieval Europe (including Rus) are somewhat neglected there - this is my own opinion, of course. With some gentile reminding I will try to scan some photos from a Russian book I have with examples from several museums. I will do my best to translate as well. Truth, my Russian is terrible and I forget many words. Thanks very much guys - really appreciate the comments. I have only ever seen the Kiripichnikov article in Russian and all I can make out are dates, dimensions and find places, which is very frustrating, but better than nothing. Dave any scans would be great. Yes it does. 435g is the all up weight = 15oz and the length is 495mm/19.5"
Well I want to add my appreciation for the beauty of the complex shape of the mace head that is sort of hypnotic to caress with the eyes as should be all good sculpture. I guess we have to give due credit to the period makers of similar designs, but you did a beautiful job of making a nice crisply executed piece. Very nice little basher! Those type IVs seem like the evolutionary pipinnacle of the compact knobbed mace. Your's reminds me of this one from the Legermseum in Delft. It sure seems like it'd be a shame to only cast one of these. 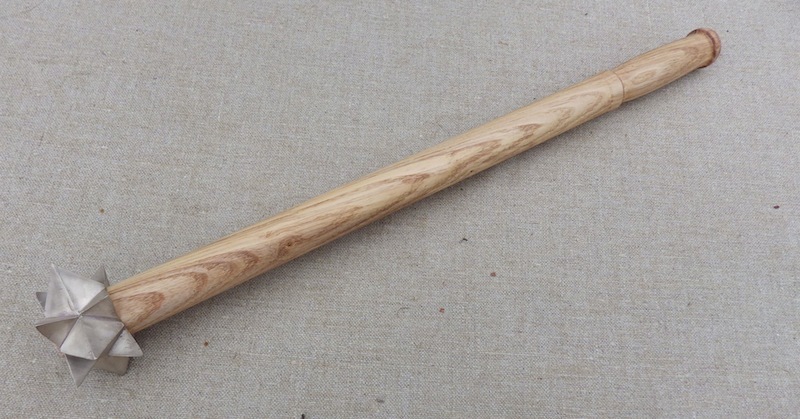 Do you have any plans for perhaps adding the type IV to your line of maces available from The English Cutler? ?